My son Benjamin has attended Step Up at Golden Gate High School for the last two years, and we are extremely happy with their program. At A Step Up, the teachers specialize in developmentally appropriate and creative activities that help young children explore and learn from the natural world around them. 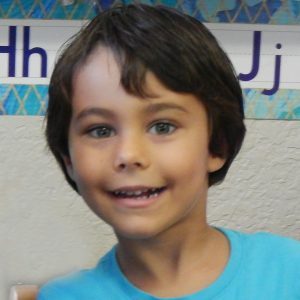 My son has learned so much, and he now attends as a VPK student. He is very excited to start the school year. Please consider supporting the A Step Up program, their “hands on” approach to discovery based learning is extremely beneficial. As a parent and a teacher, I am very pleased with the education that my son receives.